An entire batch of your favorite soap! Want something we don't typically offer? (tea tree? or something we no longer stock, such as Patchouli? or a favorite fragrance oil? 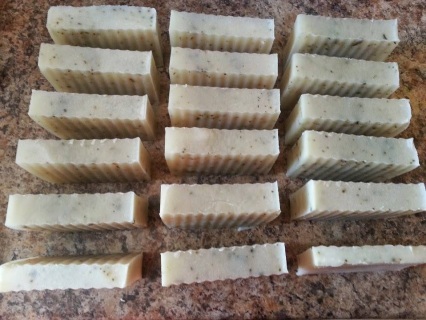 or a batch of our most popular soap - Green tea and Lemongrass) Let us know and we'll see what we can do! Your batch will come cut and all bars will be naked (not wrapped). It will include a card with name and ingredients.